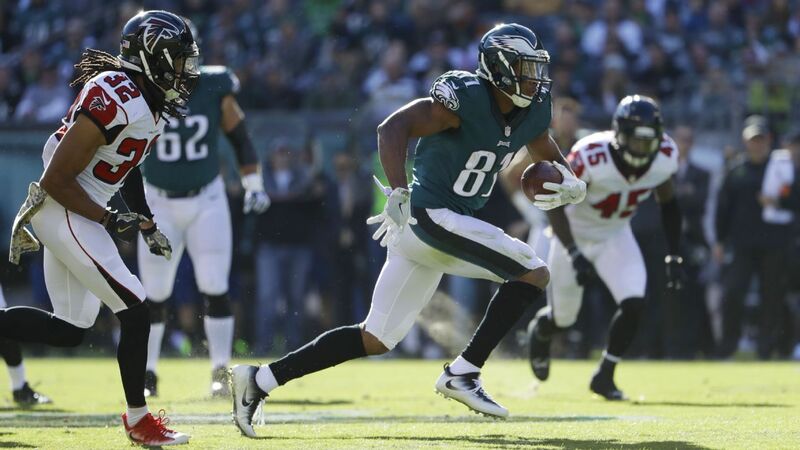 Depleted at wide receiver, the Eagles turned to a familiar face for help, signing Jordan Matthews on Wednesday while placing starting wideout Mike Wallace on injured reserve. Eagles coach Doug Pederson said Wednesday that Matthews is fully recovered from the hamstring injury he suffered with the Patriots. Pederson said Matthews looked good in Tuesday's workout and is "ready to go." He said the Eagles will try to get him "in the mix" this Sunday against the Colts. Pederson said the fact that Matthews is familiar with the Eagles' offense factored into the team's interest in him. He also lauded Matthews for helping to build the culture with the team. "He was a great leader on the team, in the locker room, out on the field, his work ethic. He was all part of the process in establishing what we have today, and he's bringing that back," he said. "He feels that when he's in the building and he sees it. I think it's enhanced even more since he's been here. He just helps us, again, enhance it even further." The Eagles are in serious need of depth at the moment, with only three healthy wide receivers on their 53-man roster. Wallace suffered a fractured fibula against the Tampa Bay Buccaneers in Week 2 and underwent surgery Tuesday. Alshon Jeffery is still on the mend from offseason rotator cuff surgery; Pederson recently described him as "week-to-week." Mack Hollins is on injured reserve with a groin injury. Pederson wouldn't rule out Wallace for the season and said the Eagles will have a better idea if he might be able to return after they get through their bye week in Week 9.